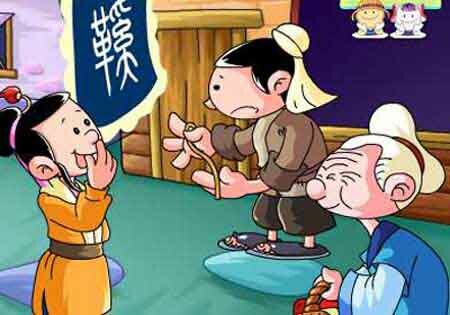 A man of the state of Zheng (zhèng guó 郑国) wanted to buy a pair of shoes. He measured his foot and put the measurement on a chair. When he set out for the market he forgot to bring it along. 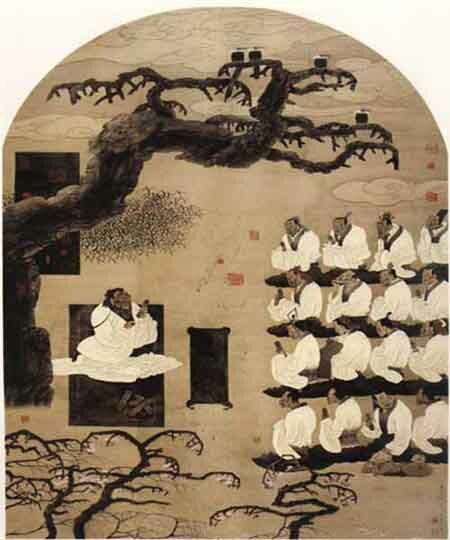 In the Spring and Autumn Period (chūn qiū 春秋时期,770-476 BC), the famous strategist Sun Wu (sūn wǔ 孙武) known as Sun Zi (sūn zǐ 孙子) came to see the King of the State of Wu (wǔ guǒ 吴国) , bringing along his great work The Art of War (sūn zǐ bīng fǎ 孙子兵法). In ancient times, there was a prime minister named Shang Yang (shāng yāng 商鞅) in the State of Qin (qín guó 秦国). He was held in high regard by the King. In the year 359 BC, he prepared for a political reform to promote the economic development.